← Do Women Really Want to Go Back to Patriarchy? In a recent post titled The Permanent Text of the ESV, I mentioned that the Crossway Board of Directors and the ESV Translation Oversight Committee had decided that, after a few minor revisions, the text of the ESV would not be changed in future printings of this popular translation of the Bible used by many evangelicals. Responding to heavy criticism of their decision, the Crossway Board of Directors and the ESV Translation Oversight Committee recognize “that this decision was a mistake” and that minor updating will be made in future editions of the ESV as the need arises. I want to commend the Crossway Board of Directors and the ESV Translation Oversight Committee for their courageous decision. It takes courage to admit that a mistake was made, but the Board of Directors and the Oversight Committee recognized that their decision was a mistake and they were willing to admit it publicly. On behalf of the many people who use and love the ESV, I would like to thank the Crossway Board of Directors and the ESV Translation Oversight Committee for their willingness to listen to the voices of concerned critics and reverse their decision. This means that the ESV will continue the tradition established by the RSV and continue to be a relevant translation for the evangelical community for years to come. On a personal note and out of “fidelity to Scripture,” I would like to request the Crossway Board of Directors and the ESV Translation Oversight Committee to, please, change the translation of Genesis 3:16. 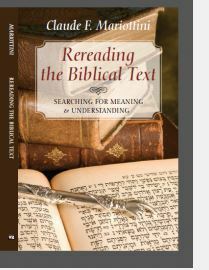 The ex-Permanent Text of Genesis 3:16 is an ideological translation that does not reflect the realities of the Hebrew text. I would also request that they change the translation of Genesis 4:7. This revised translation, as it is, is incomprehensible. If the people at Crossway allow Genesis 3:16 to remain as it is, with this new revision of the text, I can guarantee that the ESV will be the laughingstock of biblical translations because of the very ideological bias present in the translation of this verse. This entry was posted in Translating, Translation Problems and tagged Bible Translation, ESV, Permanent Text ESV. Bookmark the permalink. 4 Responses to The Permanent Text of the ESV—No More! Thank you for this and for all your posts. Although I don’t get to read all of them, I try to get in as much as I can. I understand that all of us are very busy. 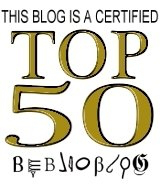 Thank you for visiting my blog and for reading my posts as time allows you to do so. I agree with your thoughts on Genesis 3:16 and 4:7. In my writing, I try to use ESV as the default, but I tend to switch whenever I find less clarity. I suppose no one sees everything as others. 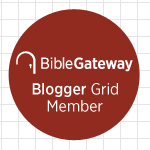 Thanks for your thoughts on the ESV. Thank you for your comment. No translation is perfect. I generally use the NRSV, but at times, I also use other translations in order to clarify and emphasize what the biblical text says.